Hi everyone! My name is Cindy and you can find me over at Skip to my Lou. I blog about crafts, sewing, crochet and beautiful handmade gift ideas. I also love celebrating teachers and have hundreds of teacher appreciation gift ideas. I hope you will come visit me if you are looking for more fun crafts and activities. 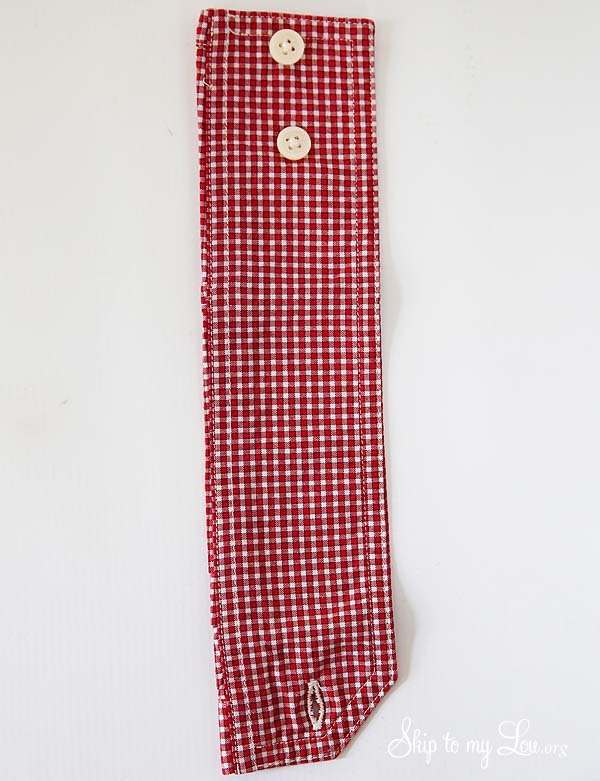 This recycled shirt cuff pouch is the perfect way to wrap up something small and makes a useful handmade gift. 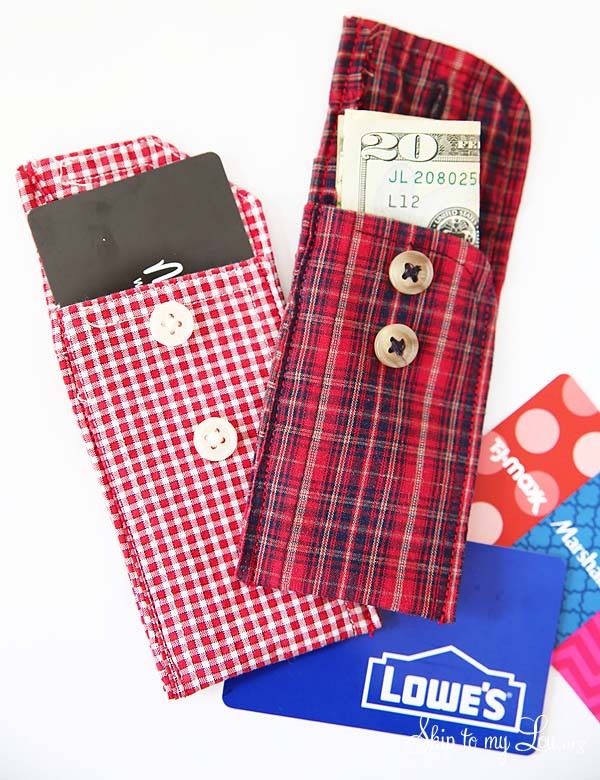 Fill these clever button pouches with a gift card, money, jewelry or a small surprise. The best part these little pouches can be made in minutes. If you have a shirt that you can no longer wear this is the perfect way to recycle it. All cuffs vary in size so if you are using it for a gift card holder make sure the cuff is big enough. Cut the cuff from the sleeve leaving about 1/2 inch of the shirt on the cuff. 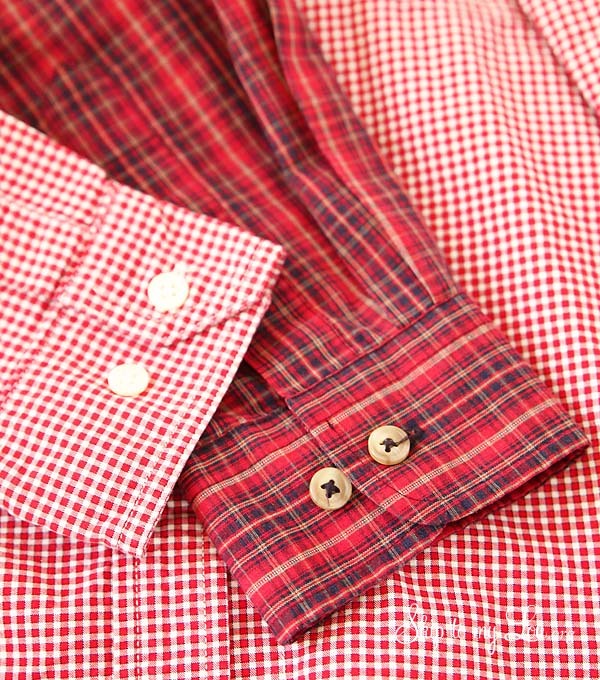 If you like the shirt can be trimmed even with the cuff. 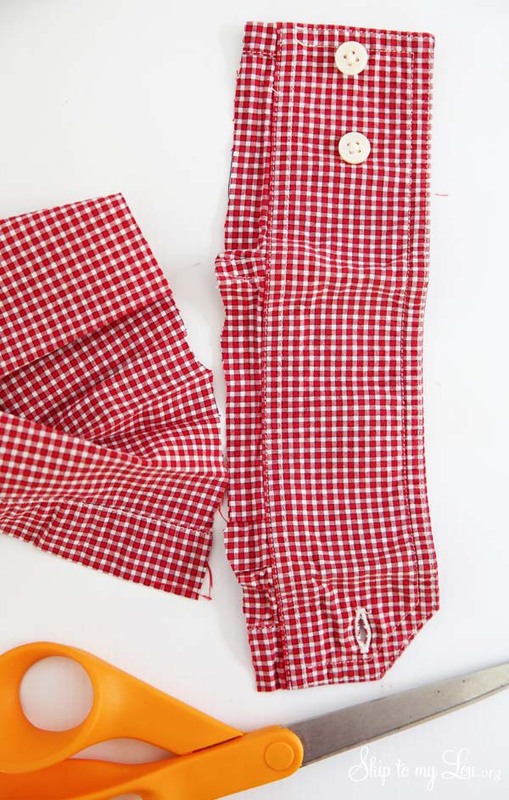 Press the extra sleeve fabric to the back (wrong side). With wrong side facing up fold the bottom up and the top down. Make sure it buttons. 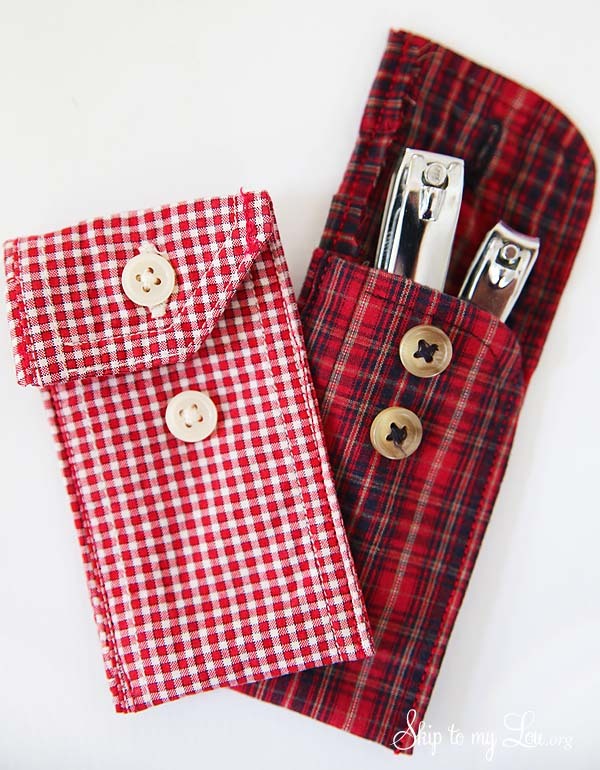 You can make it so it can be adjustable making either button useable (red plaid cuff) or just choose the top button (red and white check pouch). Open the top flap back out. Stitch with matching thread from the top of the flap down to the bottom on each side. It makes the perfect little pouch for small things! If you’re looking for a teacher gift idea, she has these Puntastic Teacher Gift Ideas perfect for any occasion! And this Handmade Reversible Tote can be whipped up in an hour! Also makes a great gift idea! And if you love to crochet, she has this Easy Rose pattern and 100’s of crochet patterns to choose from! 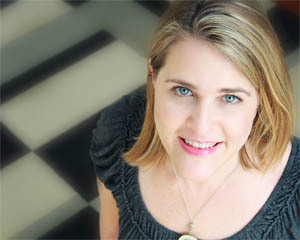 Lisa recently posted…Why, What, Where?